A big shout out to our wonderful Friends of the Library group! This amazing group of volunteers work tirelessly to stock and organize our ongoing book sale in the Reading Lounge, as well as set up and run our semi-annual monthly book sales to support many of the fun-filled library programs we offer. Please join us in a big “thank you” for all that they do and we hope that you can stop by and show your support by joining up or shopping one of their many book sales. On May 26 at noon, we will be hosting a variety of how-to workshops where you can learn how to use aromatherapy, emergency first-aid skills, or how to buy a house in today’s market. And don’t think we forgot the kiddos; there is a How To Make Slime workshop as well as How To Make Nutritious Smoothies class! Plus, we will have a craft table where everyone can explore their creative sides. Please visit the library or its Facebook page to find out workshop times. No sign up required. Tuesday, May 22 at 6:30 p.m., join us for our Vegan Adventures class. This month we will be taking a closer look at all the amazing vegan dishes that Thai cuisine has to offer. There might even be some delicious samples to try. Starting now through June 18, Senate Pro Tem Toni Atkins will be once again hosting a sock drive for our homeless veterans and their families. If you have any new socks that you no longer need or can’t use, please consider bringing them into the library and donating them to this great cause. Have you had to opportunity to check out any of our fantastic online resources lately? Not only do we offer a wide variety of online articles and databases ranging from magazines and newspapers to ancestry and homework help but we also have a vast e-collection for you to explore. Visit the San Diego Public Library’s website and discover all that we have to offer from the comfort of your home. 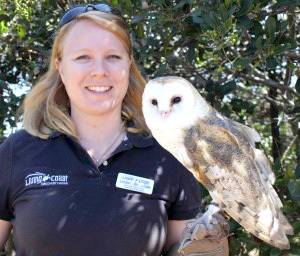 Living Coast Discovery Presents: Hooterific on Saturday, May 12, at 10:30 a.m. Ever wonder what it is like to walk in the shoes of an owl? Learn about the unique adaptations an owl has to help it survive. Students will learn about the beak, feathers, and wings as they dress up a classmate. And your class is sure to have a “hooterific” time meeting one of our owl ambassadors through this program! We continue to offer our popular Teen Scene, which takes place on Tuesdays at 3 p.m. with the addition of two new programs: Video gaming at the library and Game On! board games at the library. Video gaming is offered every Wednesday 12:30 –2:30 p.m. and Game On! is every Thursday 3–5:30 p.m. We hope to see you there! We continue to offer story times for babies, toddlers and preschoolers throughout the week. As well as our popular adult programs. Please visit the branch or check out our Facebook page for a schedule. The library will be closed Monday, May 28, for Memorial Day but will reopen Tuesday at our regular time, 11:30 a.m.
As always thanks for reading and we look forward to seeing you at the library! — Danielle Ghio is youth services librarian of the Allied Gardens/Benjamin Branch Library. Reach her at dghio@sandiego.gov.